further with a Free App. Brands looking for Influencers & Affiliates for promotions. Get subscribers & views for your channel with our communities & app marketing partners on our network. Get sponsorships & promotional tie ups from Top Brands for influencer marketing and affiliate campaigns. Get Free apps for your YouTube channel with absolute ease, to start a new money making revenue stream. The most effective & rewarding ways to monetize and boost your channel with expert tips that make the bang. Sign up & Add your channel. Get Apps for your Channel. Thanks for your interest. We'll get back to you shortly. On ViralBao Platform, you can turn your YouTube channel into an Android/iOS application by a click of a button, simply by putting your channel's name. Give your YouTube channel a brand value, more views, subscribers, and virality through a personalized YouTube application. It helps you to add another stream for monetizing your YouTube videos along with Adsense and play store/app store and helps in boosting your income through YouTube immensely. Without any coding knowledge, you can build your own YouTube video application with this App Maker tool, all you have to do is give your channel information while signing up, chose from a wide range of layouts, graphics, and themes for your application and launch it. We at ViralBao have come up with the motto of changing the way people promote their YouTube channels because as a YouTuber we all know how difficult it can get to spread the word about your content in the masses no matter how great the content is. Just sharing your video on your WhatsApp group or facebook page isn't enough anymore these days, you need a combination of various tactics but first and foremost you need a webbed network or a marketplace where you can showcase your work and draw attention from the biggest players in the industry who can help monetize your YouTube channel at a rapid rate. Affiliate Marketing is the easiest way to earn from YouTube other than Google Adsense. On ViralBao, we help you get the best affiliate tie-up with brands for your YouTube channel from our widest network of the brand campaigns. Our affiliate program is made for every size of content creator beginner or very large, nothing restricts you from creating a chance to earn money with Top global brands, where you simply copy-paste text link code and simply earn money when any of your users click on any promoted product on link and buys it from the target channel. It's that simple and very effective, and with our strong network, starting here is quick and making money is easy. ViralBao.com platform is a perfect place to find the top-notch brands looking for Influencer Marketing Campaigns to be run in YouTube Videos by reasonably successful YouTube Channel owners like you, where you simply sign up and enter your engagement rates based on key value indicators, and simply stand to get hired directly with Top Global Brands for their marketing campaign with you. Follow the right path to success with expert tips on getting maximum views and subscribers for your YouTube channel. ViralBao provides you a pool of tips, tricks, blogs, articles and much more to explore. 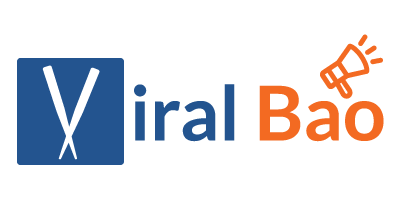 Discover breakthrough solutions and the latest trends in the social world on ViralBao which not only will help you earn money on YouTube but will help you connect with your fans better and expand your reach in terms of popularity. Work on the basics of the right ways of producing content that your users would love, the best approaches for your channel, by making it visible and interesting for your audience to be engaged proactively with your channel. you sure can gain many a million worth of advice from these folks. They are here to provide you with feedback and support for your queries based on their real-time experiences in working over the same issues. Sign up and stay educated and stay ahead on YouTube. YouTube channel to the top. ViralBao offers best in class services to make your YouTube channel to the top with the help of latest trends and tools. We offer The App maker Platform, where you can create a free customized application for your channel without any coding pre-requisites. Expand your reach on YouTube to gain maximum subscribers, views, and shares for your channel by amazing your viewers with a stunning application exclusively to showcase all your videos. Earning more on YouTube beyond Adsense cannot get easier than when you partner with big brands on ViralBao for Affiliate and Influencer marketing campaigns. No matter if your channel is big, small or still a beginner, we have a solution for every kind. Explore expert guidance on making viral content and tips with a pool of helpful content and a support community to seek after to solve all your issues. The ViralBao offers a host of effective channels to advertise and distribute your content on highly targeted audience based on our intelligent interest profiling, on its wide internal and affiliate networks of channels, ViralBao community, subscribers, ad partners, app networks, video and blog networks, content subscribers etc. You get all this at one place on ViralBao platform by signing up for free which helps you in earning maximum from a YouTube channel.